What Happens if a Trustee Commits Fraud? If you are beneficiary of a trust, it is sometimes practically impossible to obtain information about the trust or the trustee’s activities. This may not be because of the trust’s terms or statutory requirements, but because the trustee believes it is unnecessary to respond to every beneficiary request. Trustees are given discretion in handling the assets and may not receive much oversight. In the worst-case scenario, this could lead to the trustee committing malfeasance and/or fraud. This article reviews a trustee’s responsibilities and what a beneficiary can do if the trustee is committing fraud — or is suspected of it. When a grantor forms a trust, it is because the grantor intends that the assets will be handled and distributed as he or she intends. The terms of the trust should mirror the grantor’s intent. The most important point a trustee must remember is that he or she must follow the terms of the trust on behalf of the beneficiaries. In other words, the interests of the beneficiaries must be placed before the interests of the trustee. The trustee is a fiduciary with respect to the beneficiaries of the trust. This includes both the current beneficiaries and any parties named by the trust to receive the remaining property (called remaindermen). These parties (individuals or organizations) receive trust assets upon the death of those entitled to income or principal now. A trustee must keep accurate records that support income and payments made from the trust. Federal tax returns are not an adequate way to account for trust income and disbursements since the requirements for tax filing are different from the requirements for trust recordkeeping. Trust administration costs must be reasonable. A trustee should not mix trust assets with his or her own assets. They should be kept separate. If a trustee does not keep proper records, courts are likely to rule against the trustee. There are various ways a trustee can get into trouble. One way is to fail to account for the assets and income of the trust in the proper way. There may not be any intent to defraud or any self-interest involved. The trustee may just be lackadaisical or unable to effectively manage the trust. In other cases, trustees act in their own self-interests. This usually occurs if the trustee is also a beneficiary. The trustee may be inclined to act in his or her best interest versus all the beneficiaries and remaindermen. In some situations, trustees may use trust funds for themselves. A typical scenario would be a trustee who “borrows” money from the trust for his or her own purposes. Perhaps he or she is having financial difficulties and intends to return the money but is not able to pay it back. The worst case would be when the trustee blatantly takes money from the trust with no intention of returning it. If a beneficiary believes that a trustee is committing malfeasance or fraud, the first step is to request or demand an accounting of the trust from the trustee. A trustee is required to maintain accurate records (see right-hand box). If the trustee fails to provide an accounting — or fails to provide a legal justification why one does not need to be given — the beneficiary will have to seek judicial intervention. What if the malfeasance or fraud occurred years before it is discovered? A trustee has a continuing duty, so the statute of limitations may not be an issue. A beneficiary’s attorney would make the argument that the statute of limitation has not expired while the trustee is continuing in the role. What if the trustee claims that the statute of limitation has expired? A court would take seriously the argument that the claim is still valid or even consider an extension of law if there was blatant fraud. Case law research would provide further support and in most states, the statute of limitations for fraud is the later of when it occurred or when it was discovered. So, if the fraud was recently discovered, the claim would likely still fall within the time period for filing. In addition, even if there was not fraud, an accounting of the trust could show the trustee used money for the trustee’s own benefit and the court would require the trustee to turn over the money. 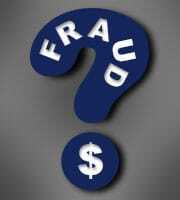 Lastly, if the fraud is so egregious, it may arise to the level of a crime. Speak with your attorney about these issues so you have a full understanding your rights in this matter.